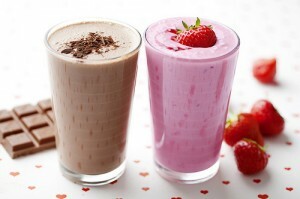 It is common knowledge that if you avoid exercise and regularly chow down on ready meals washed down with milkshakes; you’re probably going to see some adverse health effects. In fact, all of these habits lead to a rise in blood sugar levels which can promote fat storage and lead to an increased risk of developing type II diabetes. Whether your goal is better health or weight loss, being mindful of your blood sugar will have great effects on your progress. Your body can absorb refined sugars very quickly, which will result in a spike in blood sugar. Eating whole grain bread and brown rice instead of white bread and rice is a great start. You’ll also want to cut out any sugary fizzy drinks as well. Starting the day with a good helping of oatmeal is a great way to avoid hunger pangs later in the day. Oatmeal contains complex carbohydrates and therefore take longer to digest, this means they will make you feel full a lot longer than any sugary cereal. Healthy monounsaturated and omega-3 fats found in fish, nuts, and seeds can work to lower blood sugar through slowing the absorption of food in the stomach when added to a meal. Regular exercise can decrease the risk of diabetes by improving the body’s ability to control blood sugar levels. A study recently found that men who combined weightlifting with a half-hour of aerobic activity every day cut their risk of developing diabetes by as much as 59%. Want more tips to keeping your blood sugar stable and losing weight efficiently? Click here to watch this short presentation to learn how!